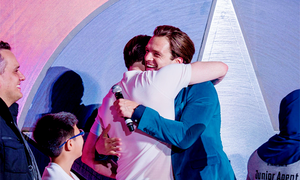 Sebastian Stan and Chris Evans. . Wallpaper and background images in the Chris Evans & Sebastian Stan club tagged: photo sebastian stan chris evans evanstan hug press tour. 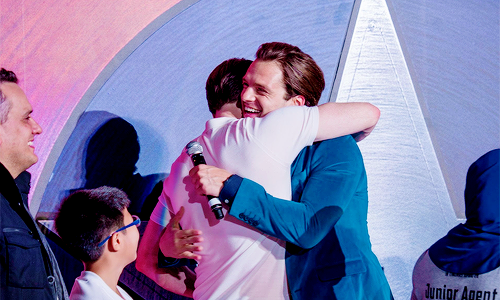 This Chris Evans & Sebastian Stan photo contains parasol and sunshade. There might also be tepee, tipi, and teepee.